Batman is one of the most iconic superheroes in all of comics. That’s pretty impressive considering he doesn’t have any superpowers to speak of. His whole shtick is that he uses the imagery of bats and his ability to slink in the shadows to instill fear in the hearts of criminals in Gotham City. His fear angle is pretty effective, and when you look at all he’s done it’s obviously working for him. Street level criminals of Gotham go running back to their hideouts at the mere mention of the Caped Crusader’s name. But, he is far from the scariest superhero out there. Comic book writers love playing around with the archetype of the terrifying hero. We’ve gone through comics to find the ultimate list of comic book superheroes that are as scary as the villains they face. These guys make Batman look downright cuddly by comparison. The 90’s were a weird time, everything was expected to be bigger and of course more “Xtreme,” and that included the superheroes of the era. 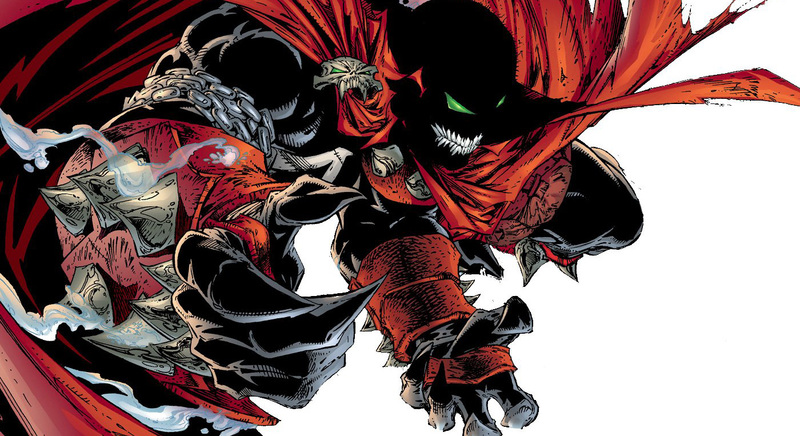 Few superheroes were more extreme than Todd McFarlane’s Spawn. While he is really more of an anti-hero (a trait a lot of the people on this list share) than a hero, he is still basically working on the side of good. Making his first appearance in Spawn #1 in May of 1992, Spawn started his crime fight career when Albert Francis “Al” Simmons lost his life. Simmons’ friend and partner, Bruce Stinson, assassinated him after being hired by Jason Wynn. Simmons was burnt to death and because of the horrible things he did while working for the CIA his soul was sent to hell. While there he made a deal with an evil being known as Malebolgia to see his wife again. Unfortunately, Simmons was brought back five years later, his wife had moved on, and he now had demonic powers. Simmons as Spawn used those new demonic powers to fight crime. He uses his black and white mask, along with a set of chains, and a powerful cape to fight his enemies. Unlike, Batman, Spawn has no problem killing when he needs to. Superhero origins really don’t get much darker than Spawns. There isn’t just one Ghost Rider, but they all share the same basic premise that they get their power from a powerful vengeance demon. At night they are consumed by flame until all that is left is a skeleton covered in flames. 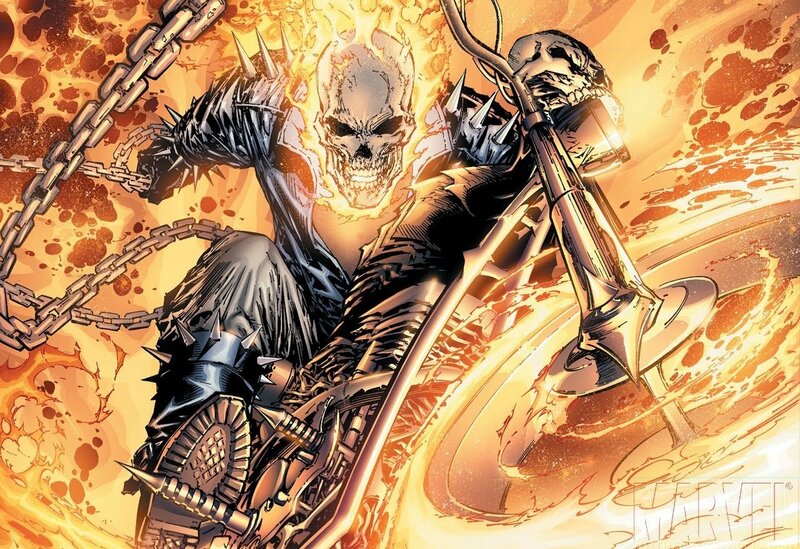 The Ghost Riders get their name because they ride an indestructible Motorcycle (or in the case of Robbie Reyes a car) that is capable of going extremely fast while still being driven with incredible skill and precision. Unlike other superheroes the Ghost Riders are not just some guy in a costume, they are in fact completely overpowered by the demonic force that lives inside them. When they change the demon takes over completely and uses them as more of a vessel. The Ghost Rider doesn’t want to see people locked up or get their due process, it has one goal in mind, to kill the wrongdoers it goes after. The Ghost Rider wants the souls of murderers, rapists, and pedophiles and will stop at nothing to get them. What’s scarier to you, a guy dressed like a bat or a literal flaming skull? Venom is usually a villain, but at times he has been an anti-hero and even a full-on hero, most notably during his run with the Thunderbolts. Because of that short run Venom is placed on the list of superheroes that would make that bats run to his mamma. 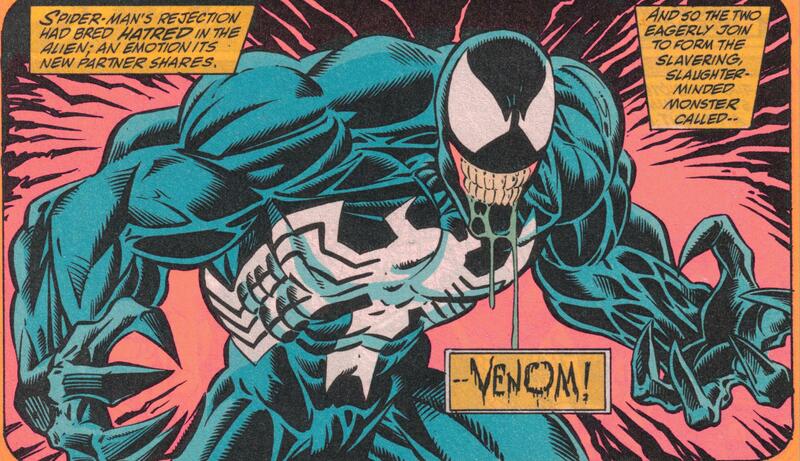 While several people have taken up the mantle of Venom, the most notable hero version is when the symbiote bonds with Flash Thompson, a government-owned black-ops version of the character. Flash Thompson as Venom has worked alongside not only the Thunderbolts but also the Secret Avengers and had a stint with the Guardians of the Galaxy. Venom is an extremely imposing character in the Marvel Universe. Its form is large and imposing and it has dangerously large teeth and fangs as well as a long grotesque tongue that makes him something straight out of a horror movie. And, if that wasn’t bad enough the government gave Flash Thompson a multi-gun that could change form to be whatever gun Venom needs at the time. A superhero with a horror movie monster body packing heat, it doesn’t get much scarier than that. 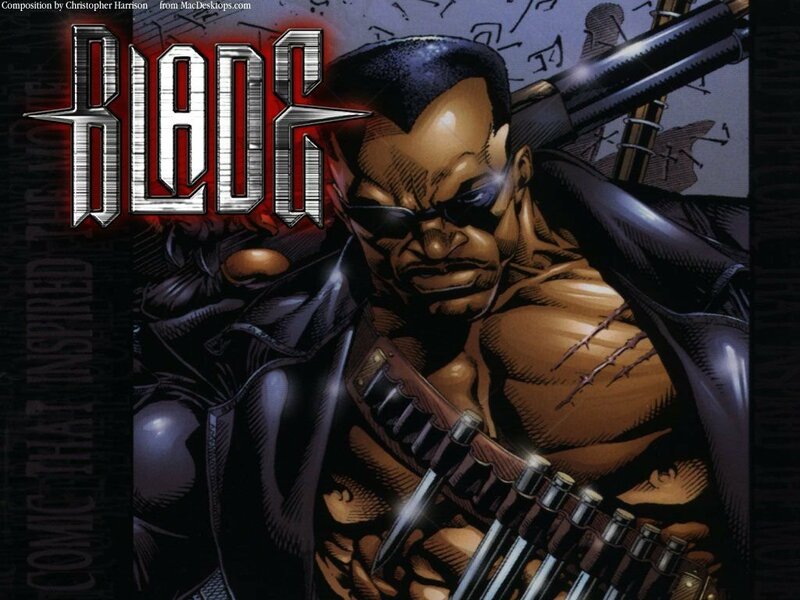 In the Marvel universe, vampires exist and the man that hunts them is none other than Blade. He can fight them because he is part vampire, giving him a leg up in the fight against the undead. Blade is on a mission to avenge his dead mother and rid the world of vampires in the process. While Blade is a large imposing man, at first glance he looks just like a normal person. It’s when he opens his mouth and shows off his fangs that he could make you freeze in terror. While he’s not quite a vampire, he does look one, and that can be enough to scare the average criminal. Rorschach is one of the heroes in Alan Moore’s graphic novel, and the movie of the same name, Watchmen. According to Moore, the character of Rorschach was meant to be his way of showing how a Batman type character would act in the real world. The result is a character who is far more menacing than Batman has ever been. DC Comics have spent more than a few comics, movies, and cartoons exploring the psyche of Batman, and whether or not he is crazy. Watchmen doesn’t do any of that with Rorschach. There is no question about his mental state, he’s just insane. Imagine Batman but without the pesky morals and no killing rule holding him back. 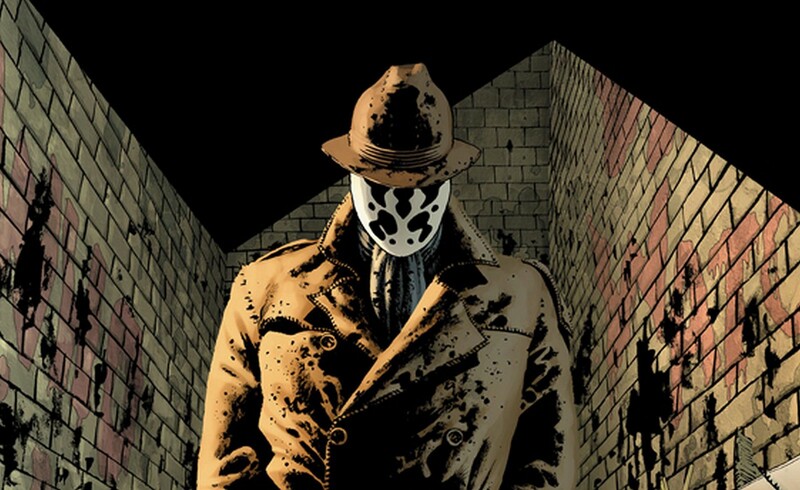 If there is one hero that criminals should worry about running into in a back alley, it’s Rorschach.